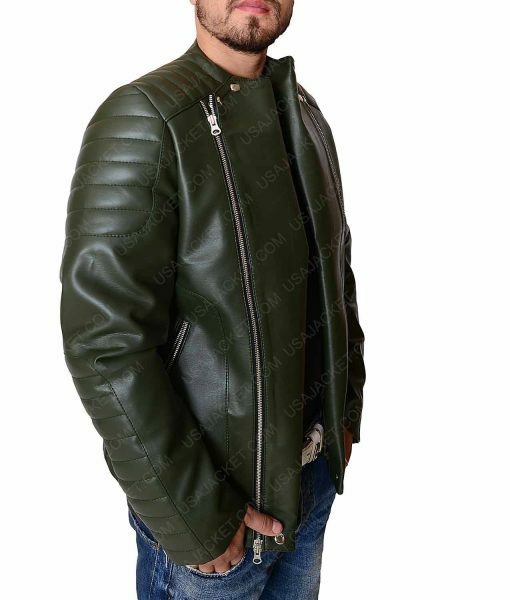 Are you conscious about leather jackets? if yes then dont we have presented the high-quality leather jacket that will surely give you amazing comfort while wearing it. 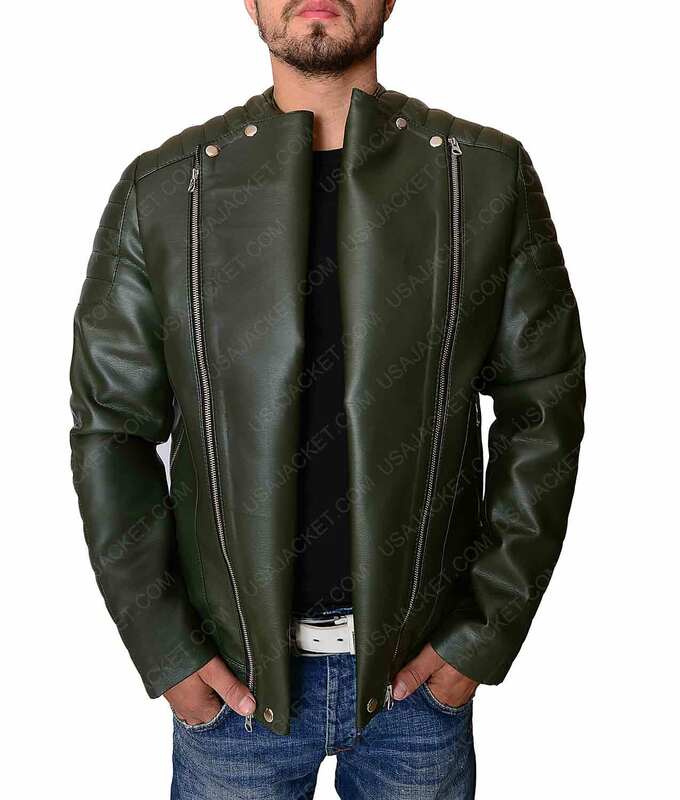 Avail this Kid Cudi Green Collarless Leather jacket that will surely give you alluring appearance. 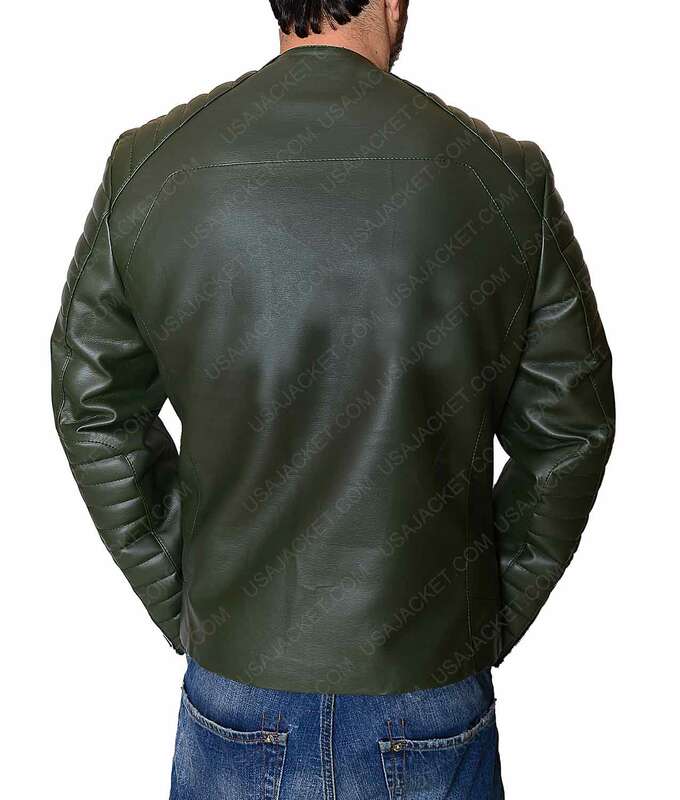 This Green jacket is made up of genuine/faux leather that can be used for a long time period. It has inner soft lining that will surely give you best comfort whenever you will wear this fascinating piece. Its color will give a great charm on your appearance throughout the day. You can check the features that include collarless style with snap button that looks amazing and you will love to wear anytime. You will definitely inspired with double way zipper closure that is unique from all the attire. 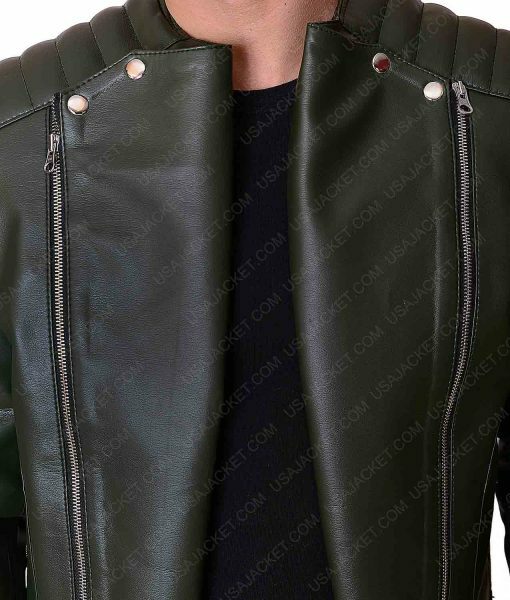 The jacket has full sleeves with zipper cuffs. and the most attractive thing is the padded designing on sleeves and shoulders. So, avail it now and impress the viewers with your fantastic look.